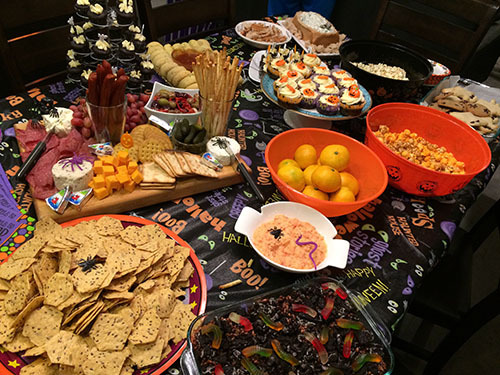 Home » foodmamma » get ready for halloween! We love Halloween around here! The costumes, the decor and of course the chocolate, what’s not to love about this fun time of year. 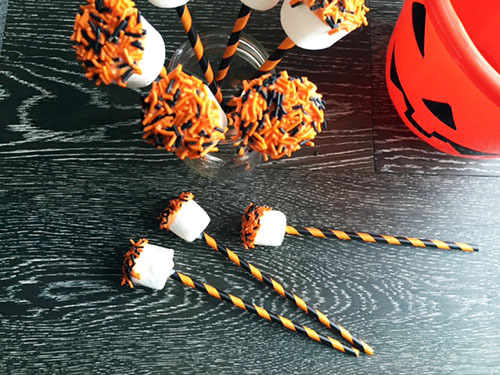 From sprinkles to paper straws and even eyeballs, there are lots of in-expensive things on the market to get you in the Halloween spirit. Here are some easy things to get ready for Halloween. Rice Krispie Squares is a classic treat and super easy to make. Follow the directions on the box and take it to another level for Halloween. 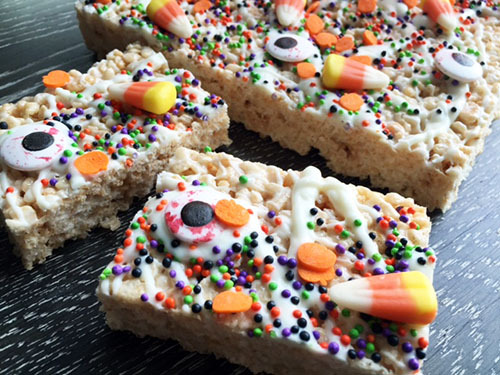 Drizzle melted chocolate on the prepared squares and then throw on some sprinkles, candy corn, eyeballs, pumpkins, pretzels….anything really. I love patterned paper straws and there are so many orange and black options available. Just stick one into a marshmallow, dip in melted chocolate and then dip into a dish of sprinkles. These are always a hit and can be prepared in minutes. 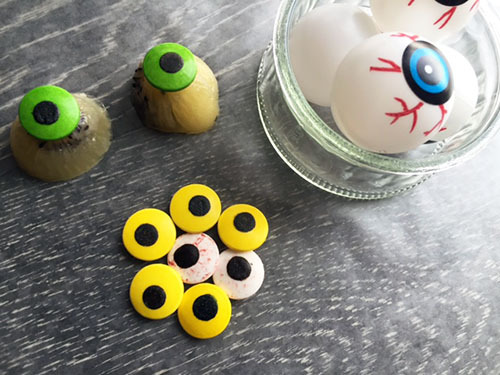 There’s something about eyeballs that make things just a little spooky. From plastic ones to candy ones, they are great to add to Halloween decor. Make your own with a melon baller using fruit such as kiwi and melons. Trying to avoid candy this year? 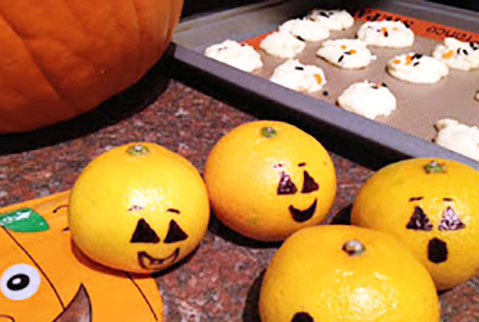 Add jack-o-lantern faces to mandarins making them a fun and healthy treat. 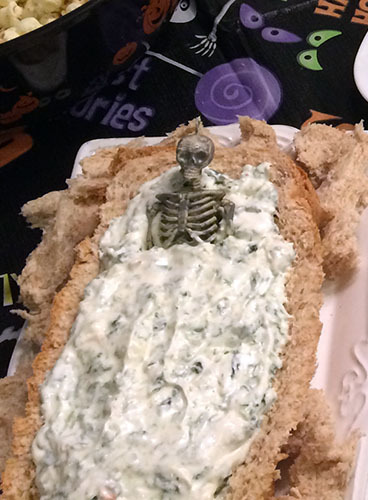 Take your favourite spinach dip and decorate it for the season. Instead of using a sourdough bowl, use a loaf of unsliced bread. 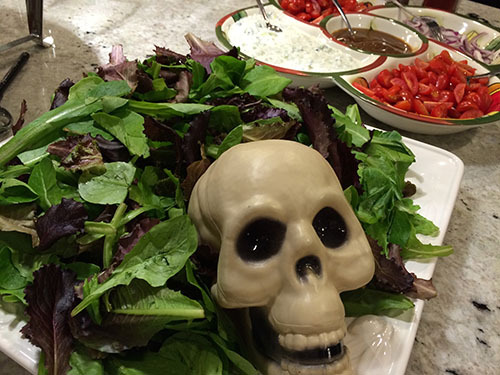 Cut the middle out, fill with dip and make some room for a skeleton to lie. This was a hit at one of our parties. 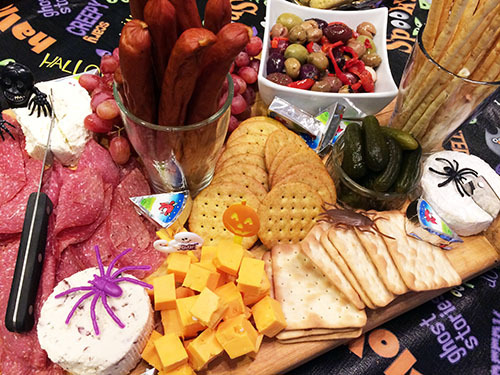 Add pumpkins, spiders and even gummy worms to spruce up your party table or charcuterie board. Have fun!